I received my Nightwatch IRA from enogear yesterday – site is till down though. The IRA is one big chunk of alum with also a nice chunk of copper press fit, acting as a thick shelf for the MCPCB, which is also copper, anchored with 2 screws. It looks like a modder drilled out the shelf, cut a piece off of copper bar stock, and press fit it in there nicely. Yep I bought that from them too. That host is impressive. What are you planning to use it for? I received my Nightwatch IRA from enogear yesterday - site is till down though. The IRA is one big chunk of alum with also a nice chunk of copper press fit, acting as a thick shelf for the MCPCB, which is also copper, anchored with 2 screws. It looks like a modder drilled out the shelf, cut a piece off of copper bar stock, and press fit it in there nicely. Well, wish I got the XPL version, not sure if still available anywhere anyway, but for this one, a 351D or XPL2 would under utilize it's heat capability, and the OP reflector is not a good match up. Think'n of XHP70.2 P2, FET+1 driver, and two 26350 cells - should get 6K+ I would think.. Now in stock form, the 2 26350's don't fit. You can actually unscrew the battery tube from the head and still have electrical contact, could add a washer or something, but don't think that's a good setup. I'm think'n replacing the driver spring with a brass button (height is little tricky there) and for the tail, need to get that brass retaining ring lower. Could shave/sand down the plastic washer, then trim off the knob inside the rubber boot. Might pick up a mm or 2 there, combined with a mm or 2 at the head with the brass button, maybe the cells would fit then with all pieces fully threaded in tight. Ohh for the driver, think it's 32 mm, and best driver would be an L6 LDO one like MtnE sells, and could file it down a bit and piggyback it on -- didn't check/verify all this yet. My ss 14500 showed up surprisingly today. Still showed as being in LA yesterday. It looks really nice, has the slight gap between head and body, and works fine on an eneloop with a warm, slightly rosy beam. Packaging was a small bubble mailer with the light in a baggy and then wrapped in thin bubble wrap. Two extra o-rings were included. Before I try a 14500, which ones are recommended, flat top or button top, and which brand/model? What about length? I use mostly Windyfire button tops. I have used purple Efest button tops and Amazon NiMh as well. Never had a single problem. Before I try a 14500, which ones are recommended, flat top or button top, and which brand/model? What about length? Sanyo-Panasonic UR14500P Flat Top Protected. The extra length is no problem. 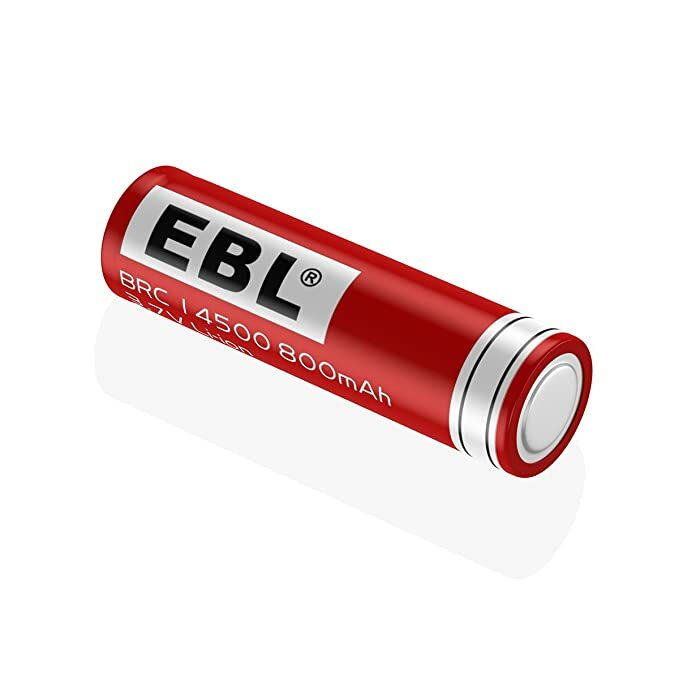 EBL 14500 Button Top. Cheap, but I've had good luck with them. YMMV. However, I typically use a Ni-MH or primary lithium battery. I use my SS 14500/AA at night to make bathroom runs, so I don't need top performance. The SS 14500/AA accommodates either flat top or button top batteries with no problems. I use the Fenix 800mah protected. Anyone know hos to enable strobe on this thing? I accidentally added strobe to the main cycle of my Enogear stainless steel 14500 usb rechargeable. It was so annoying. But then I tried a bunch of random button presses and was finally able to get rid of the strobe? Anyone remember the UI since the Enogear website is no more. BTW, I modded the Enogear 14500 w/ Optisolis 2700k and it works amazingly well. Needed a single DC-fix to smooth out the beam but beautiful perfect tint and color rendering. I also modded the Enogear AAA stainliess steel with the E21A 2000k and beam is perfect as is and very bright considering it’s a AAA light. Anyone know anywhere to buy more of these? Unfortunately I don't know.. Didnt know there was a hidden mode group either. Unfortunately I don’t know.. Didnt know there was a hidden mode group either.